The key for turning grumpy, bad tempered John into a loving disciple is God’s Love. _______是世界最重要的。Love is the most important thing in the world. The reason why the society is sick is for lack of love. Church is the body of Jesus Christ, Jesus Christ is the Son of God, and the most important essence of God is Love, so the essence of church is love. The existence of church is to tell all the people in the world: God is love. If one wants to know Love, one has to get live in Jesus Christ. Loving one another is not an invitation but an action. Church has to live out of love to show influence in the world! 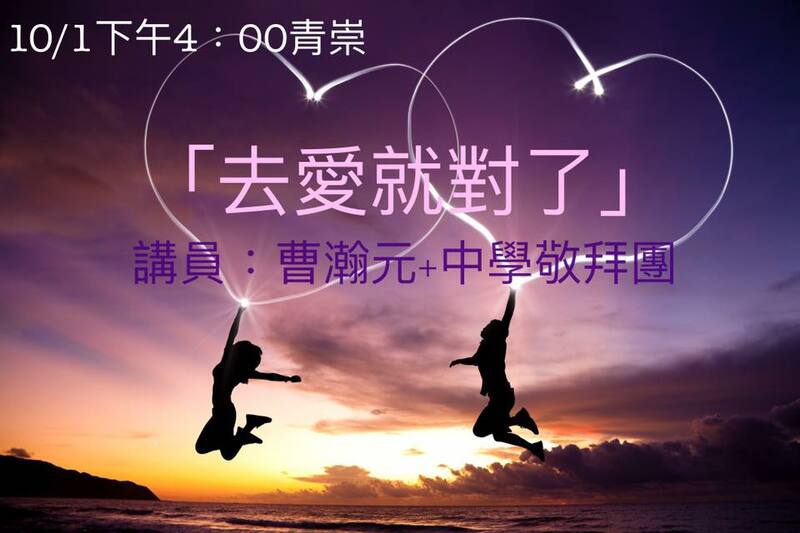 四、 要如何能夠彼此相愛呢？ How to love one another? 1)愛是從________而來。 Love comes from God. A. Would I be willing to pay prices for giving love for others? B. Would I be willing to ask God for the strength of love? Enthusiasm can attract people and make them feel accepted. “enthusiasm”: a feeling of being stimulated, being stirred, being aroused. “Showing enthusiasm” is a sign of Jesus Christ being in our heart. In order for church to love one another, everyone has to be involved actively and eagerly. ※ When one is willing to answer God’s calling, one will see God’s work, and God will put his glory on you! When you understand the meaning of the existence of church, what would you consider when you think of church? What can I do? What do I need to change?